Shepard Residential College is one of 13 residence halls that received upgrades during Spring Break. The initiative is a partnership between ASG and Residential Services. Over Spring Break, Associated Student Government and Residential Services continued their yearlong project to improve on-campus housing, installing new drinking fountains and central trash collection rooms. The new upgrades were just two of many changes made to 13 residence halls during break. The new fountains in Sargent Hall, Foster-Walker Complex and 1835 Hinman are built to fill reusable water bottles, and eight dorms are now equipped with new trash collection rooms. 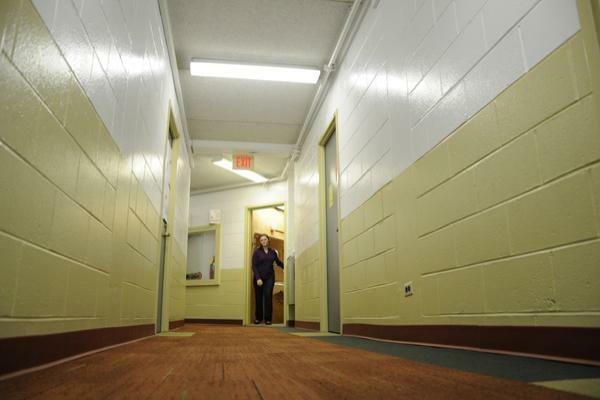 Other dorms also received minor renovations: repainted stairwells, re-tiled bathrooms and new carpets. ASG started the initiative as a way to improve residence halls with student input. Residents of each dorm were emailed a survey where they indicated issues for the group to look into on their tour. Seamus Naughton said he hopes Residential Services will work to increase dorm equity. Naughton, who lived in the South Mid-Quads last year, said his experience in SMQ had a negative impact on his freshman year and made him consider other universities. SMQ has no air conditioning or overheard lighting, Naughton said. He said SMQ seemed like “the dark ages” compared to McCulloch Hall, his current residence. He noted that housing would be easier for the University if it made dorm amenities more comparable. “It just makes living arrangements even harder for Northwestern when everyone wants Bobb come housing numbers,” Naughton said. Van Atta and Ani Ajith, speaker of the ASG Senate, led a working group that toured 24 of the 29 student dorms over the last two quarters. Along with Paul Riel, executive director of Residential Services, the group noted short-term improvements to be made over breaks and long-term projects for the summer. The last five tours will take place in late April. Other upgrades include kitchen renovations in the Communications Residential College and International Studies Residential College, practice room soundproofing in Sargent and Jones Residential College and more effective shower drains in multiple dorms. Over the summer, storage rooms will be repurposed into common areas in many halls, and more bottle-friendly fountains and major lighting revamps will be added. Adam Logeman, a member of the Shepard Residential College executive board, said he thought dorm upgrades were essential. Logeman, a Weinberg sophomore, said the Shepard executive board had already been working with Residential Services on creating a practice room and the bathroom renovations made over break, but he noted the tours would be useful in residence halls where students don’t pay dues that fund upgrades. While touring the dorms, Van Atta admitted the group found many surprising things, including a room in the College of Commerce and Industry’s basement full of pianos, old pictures and unused furniture in storage. Residential Services is working to redistribute these items to dorms. He said the quality of residence halls is an important issue for NU students.